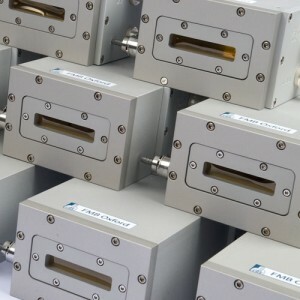 Ionisation chambers can be used in a variety of experiments, including x-ray protein crystallography, generic diffraction experiments and absorption spectroscopy. A complete system requires a detector head, high voltage supply and signal processing module. 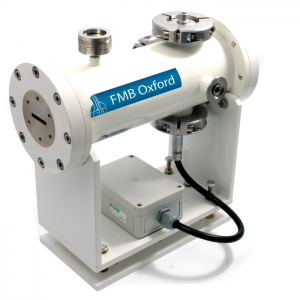 FMB Oxford supplies a full range of products in various configurations, along with relevant cabling, to suit all application requirements. The detector head consists of a gas tight chamber containing two parallel plates, over which a high voltage is applied to produce a potential gradient. When x-rays pass through the chamber some are absorbed producing electron-ion pairs that are subsequently separated by the gradient and collected at the signal plate. The small current produced in the plate is then processed by the electronics module to give a quantitative representation of the x-ray intensity. The IC PLUS range comes with a number of additional options, from adaptors to cables. If we don’t have exactly what you want just ask.